The BFI is bringing 80s smash hit 9 to 5 back to the big screen this autumn. Hilariously tackling issues that almost 40 years later are finally being taken seriously in the age of #MeToo, the film stars Jane Fonda, Lily Tomlin and Dolly Parton as workmates who take matters into their own hands, and refuse to put up with their sexist boss‘s behaviour. 9 to 5, which features the iconic title song by star Dolly Parton, is an inspiring story about female friendship which was decades ahead of its time and is ripe for rediscovery by a whole new generation of film lovers. 9 to 5 is the story of three women at work who are sick of their "sexist, egotistical, lying, hypocritical bigot" boss, and want to change their all-female workplace for good. 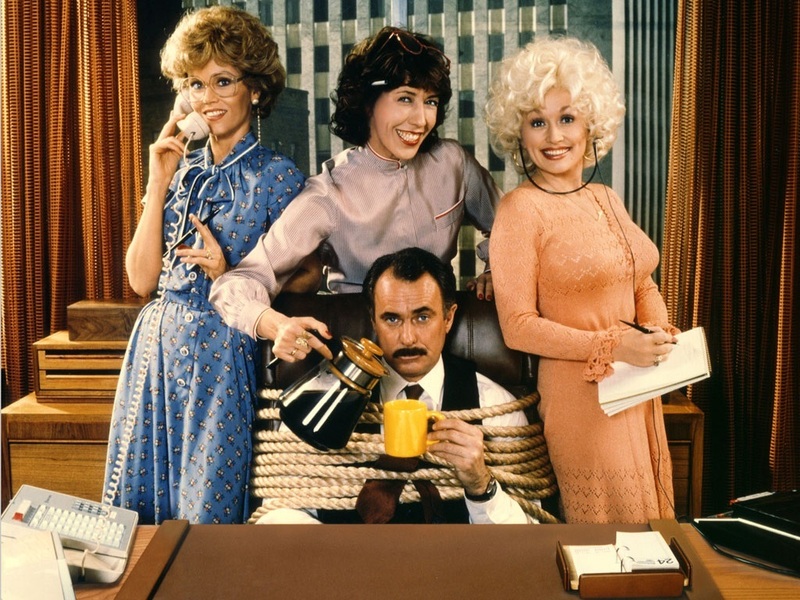 Judy (Fonda), Violet (Tomlin) and Doralee (Parton) couldn’t be more different from each other, but they make friends over being mistreated by their sleazy boss, Franklin Hart, Jr. (Dabney Coleman): he yells at newly-divorced Judy on her first day in an office, consistently takes credit for supervisor Violet’s smart ideas and sexually harasses his secretary Doralee. Fed up with him, and the sexist practices of their offices, they dream of getting rid of him for good and join forces to hatch a plan. In July, while taking part in the US Television Critics Association panel about her forthcoming HBO documentary, Jane Fonda in Five Acts, Fonda confirmed that a sequel of 9 to 5 is in the works. The plan is to follow the original and deal with today’s workplace problems, again with a dynamic group of powerful female characters. If that changes then “I’m not going to be in it” she said, “but right now, Dolly, Lily and I are all intending to be in it.” Fonda will also be executive producer and is already in discussion with the writers. Among current issues that have caught her eye is the outsourcing of recruitment, leaving employees unsure of who to turn to when they need help, and how social media can enable spying by employers. "I’m sorry to say that the situation is worse today," she commented.